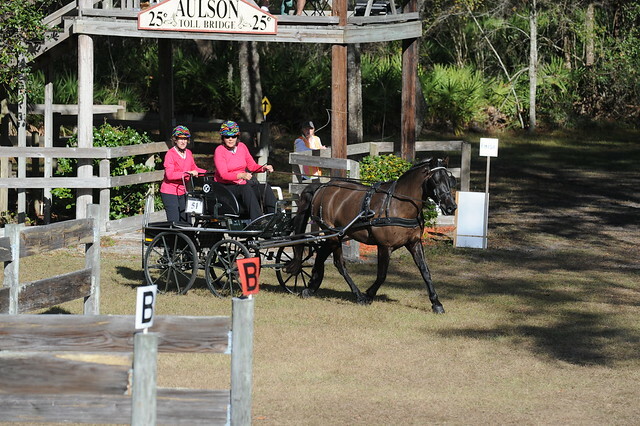 My hobby is driving carriages and so I find myself in Florida in the winter to train and compete and to drive my horse through the wonderful Goethe State Forest. Last winter I tried camping with a van and a CLAM but found that severe storms would uproot everything and blow it away. It was hard to live that way. Too hot and too cold and too far to the bathroom. Welcome Stonewall! Actually the nickname of a relative of mine by marriage. The Casitas are wonderful units. Nothing like knowing where you stuff is. I recently got to witness a fun (non competitive) drive with the Gateway Harness Club. I did not ride with anyone. My friend had just gotten a Halflinger and cart and it was their first time driving together outside a ring. Such beautiful animals and rigs. Beautiful horse. I used to breed Connemaras, and your horse reminds of some of mine. What is his breeding? You'd probably enjoy talking with one of our other Casita Brethren up here in WA State. He goes by Jerrybob on the Casita forum. He owns the carraige museum in the link below. Super neat guy, and a wealth of information on antique carriages of all kinds. And yes, I love carriage museums. I almost got locked into one in Alberta, Canada because I didn't know they were closing. I might head to Washington state to participate in the John Wayne trail ride and drive across the state next May. John Wayne Pioneer Wagons and Riders Association So maybe I could see the museum then. Only problem is that I can't tow both my Casita and my horse trailer. So the Casita doesn't get to go.